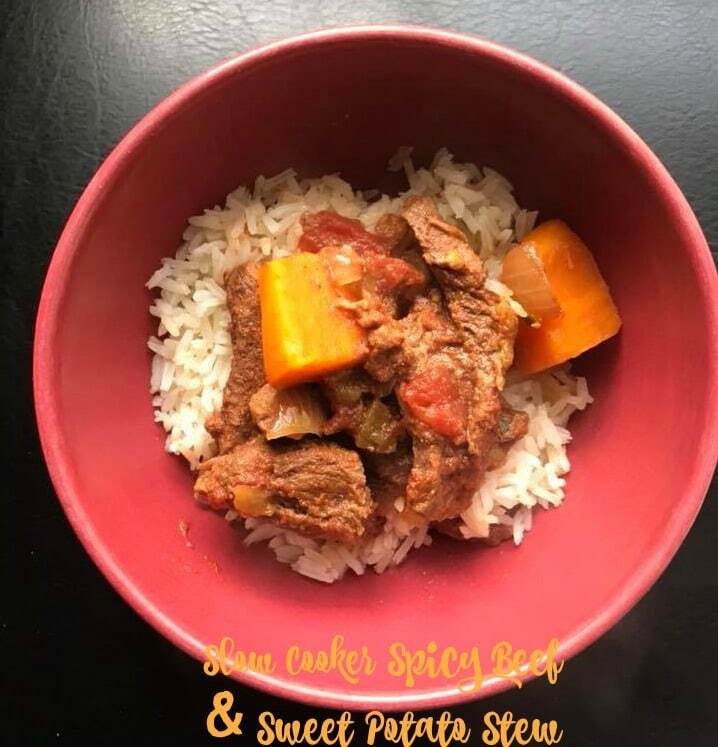 I need to post this recipe for Slow Cooker Spicy Beef and Sweet Potato Stew before I forget it! I’ve been looking for a dish that just calls out for HARISSA. Harissa is a Moroccan seasoning made with chilis and some other amazing spices – there is no one standard recipe for harissa but they all are a little (or a lot) spicy. 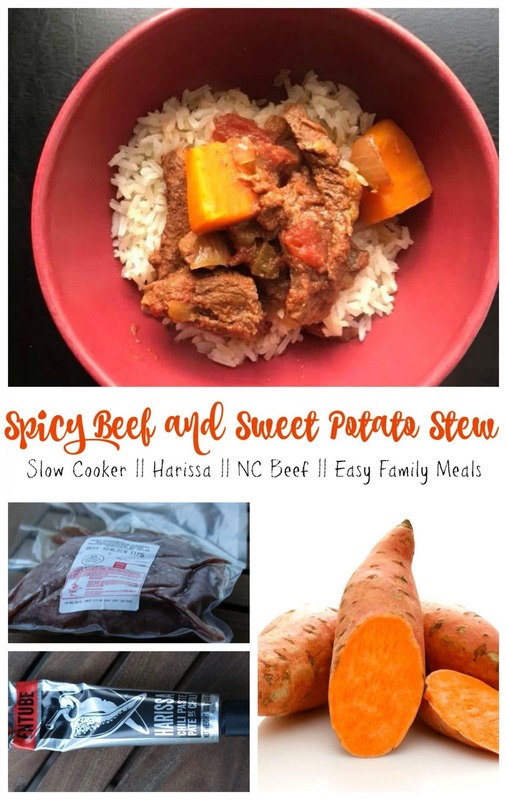 This stew has so much flavor and is really easy to make. Win-win. 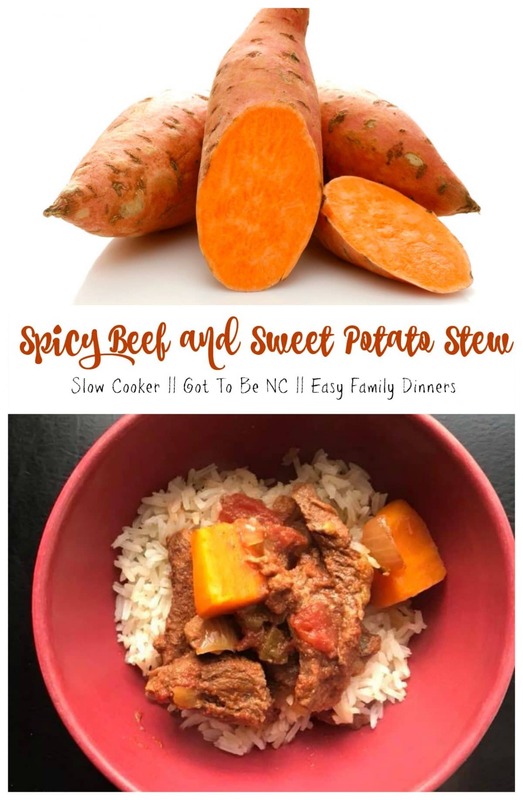 The slow cooker is my savior. And cooking on high is a great option if you realize halfway through the day that you have no dinner plans. 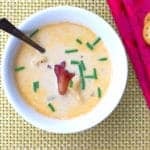 This recipe developed from what was hanging out in my freezer and pantry. 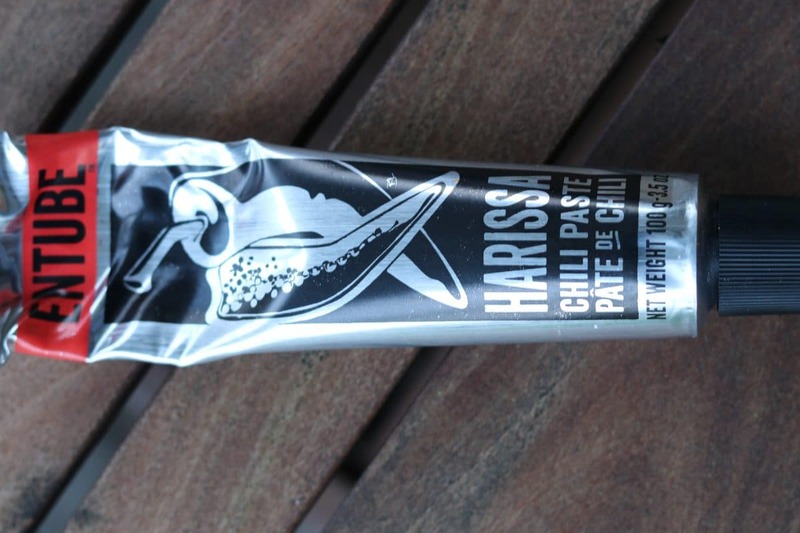 I bought harissa paste a little while ago but I was not really sure what to do with it. Until now. 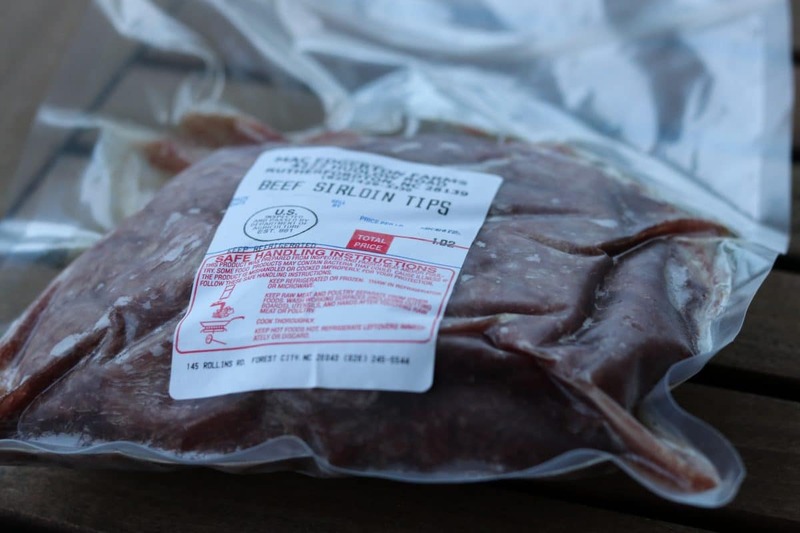 I buy my meat from a local farmer out in Rutherfordton, North Carolina, and he usually has an assortment of beef cuts that I toss in my freezer until needed. For this recipe, I found 1 pound of beef stir fry. The meat was tender and thinly sliced. 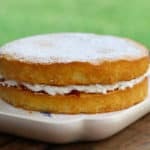 For this recipe, it was absolutely perfect. 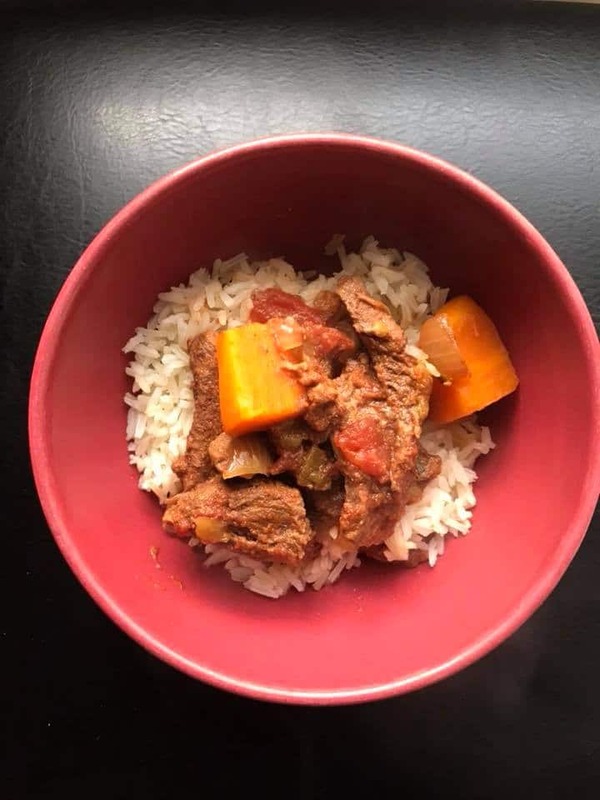 You could probably use stew beef or steak tips in this recipe as well. The slow cooker is very forgiving with beef. Sweet potatoes are a tropical vegetable often found in African cooking and, coincidentally, sweet potatoes are the number one crop in NC because we have a perfect growing season and soil for them. My pantry is never without local sweet potatoes. The sweet flavor of the sweet potato complements the slightly fiery taste of the harissa. For the sweet potatoes, all I did was peel them and cut them into 1 inch chunks. Easy. Combine everything in a slow cooker. Cook for four hours. That’s it. Make this! To extend this recipe … serve it over rice. It would also taste excellent over cauliflower rice. Yum. 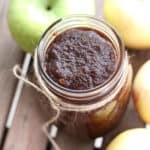 Combine in a slow cooker. Cook on high for 4 hours. Serve over rice. 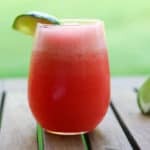 Garnish with fresh cilantro. My kids said this wasn’t that spicy! Add more heat if you like it really spicy. Serving this stew over rice will also help cut the spiciness. Enjoy! !